Chief minister Singh also announced naming a local school and a road connecting the village after constable Kulwinder Singh. 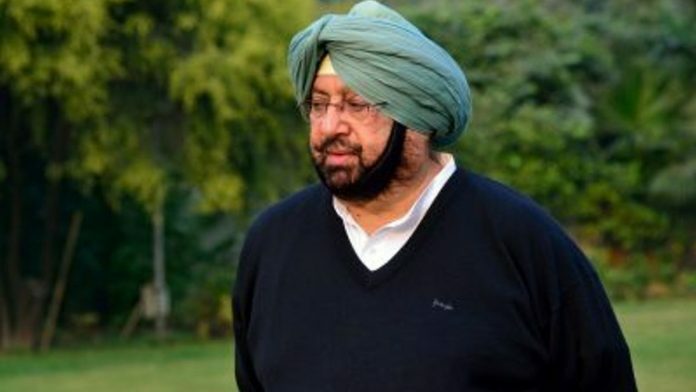 Anandpur Sahib: Punjab Chief Minister Amarinder Singh on Sunday met the parents of CRPF constable Kulwinder Singh killed in the Pulwama terror attack in their village and announced naming a local school and a road connecting the village to here after him. Extending his sympathies to Darshan Singh and his wife in Rauli village, the chief minister also announced a special monthly pension of Rs 10,000 to them (either or surviving parents) since they had no other children and the deceased was unmarried. The pension will be given in lieu of the job to the next of kin of the slain jawan, and will be in addition to the Rs 7 lakh ex gratia and Rs 5 lakh cash in lieu of land which the family is entitled to, an official release said. The pension will be paid by the Department of Defense Services Welfare and the agenda note for the same will be presented before the state cabinet in the next meeting, it said. Singh refused to respond to any political questions from reporters gathered here, given the sobriety of the situation, and said every Indian was with the victims’ families in this hour of sorrow. The chief minister, who was accompanied by Punjab Assembly Speaker Rana Kaypee, extended his government’s full support to the families of the jawans who had sacrificed their lives in the service of the nation. The Punjab Assembly Friday strongly condemned the terror attack in Pulwama and passed a resolution for adjournment of the proceedings of the House for the day. Earlier on Sunday, taking to reporters after an event in Mohali, Amarinder Singh made it clear that all Kashmiri students in Punjab would be given full protection by his government. The chief minister said he has issued necessary instructions to police in the wake of reports of some Kashmiri students being allegedly targeted and harassed in various states following the terror attack. No innocent person will be allowed to be subjected to any harassment in Punjab, he said and warned those trying to perpetrate communal hatred and disharmony in the state.